You’ll love every bite of our creative New American cuisine at this sophisticated, neighborhood restaurant and bar. From the moment you walk through the door until your last sip of our specialty cocktails, we make our guests feel at home with the friendly, relaxing atmosphere and strong attention to service. At The Red Bird, our menu over-delivers with the highest quality ingredients for from scratch dishes that are always fresh and unique. Satisfy your hunger at dinner with our current, seasonally inspired favorites, or choose from our large selection of locally sourced cocktails, craft beer and wine at our full-service bar. Food and service was impeccable. We will definitely be going back! Buffalo Cauliflower alone is worth the trip! I wasn't impressed at first. Slow service at the bar, and it wasn't busy. I think the bartender was new. I'm accustomed to being acknowledged, even if it's just a hello or a nod. Menus were dropped without a "would you like a drink" I waited 7-8 min for her to come back, at which point I ordered a drink and dinner. The swordfish was excellent! She never checked back, I would have had a second drink, but didn't. So I'm going to give you a 3. 2 for service, 5 for food quality. Delicious food, great micro brew beer and unique cocktail and warm service. Nice atmosphere ! Service was excellent and food was delicious. Cocktails are a 10! The duck confit was incredible! Awesome place. My only complaint is that I wish that they would have had more gluten-free options. That said, the food and service were amazing! I forgot to present it at the beginning of the meal and they were very kind and accomodating but I could tell they had to figure it out and take our check back.... great opportunity to try a new restaurant.. I would have used Commodore as well but you only gave me two weeks to use it and that's not enough time . Red Bird was easy and we could get a reservation.... I already recommended it to a friend from this experience. We really enjoyed what we've ordered a seafood and a pasta dish. It was tasty and very well cooked/executed. The service was great as well, the chef noticed that we had a toddler with us and gave her peeled oranges that she gobbled up and loved. We really appreciated everything and would recommend Red Bird to anyone! The food was delicious and the service was on point. My wife and I had a lovely evening out at Red Bird! Thank you! This place by far has the best food for its price! A very nice meal - both appetizer and main courses were delicious. We will be back. Appreciated the separate vegetarian menu with great options. Cocktails were creative and delicious. Service was great. A little on the pricey side, but you get what you pay for. The food and atmosphere were imaginative and executed well. I would definitely recommend Red Bird to all of my colleagues and friends looking for a fun night out. Red Bird used to be a high quality restaurant that we used to enjoy for special occasions, but I feel that the quality has diminished a bit over the years. We didn't get our drinks until halfway though our appetizer course. The drinks were also not very good. In the past, they used to be on par with cocktail bars but now it's definitely not worth $12 each. Our meal, a pasta dish, also came out cold. We wish we had a better experience. I had been looking for a special occasion place in Waltham for dinner and they kept falling short, but somehow I had completely overlooked Red Bird! I'm glad I had the opportunity to go and we would love to go back again for a nice night out. Great food. Great service. Great atmosphere! This restaurant was amazing! So happy I had a nift to get me to check out the Red Bird! Nice chic restaurant with romantic atmosphere. The homemade spinach Tagliatelle with shrimp and jalapeno basil pesto sauce was excellent and the slow simmered pork ragu Rigatoni pasta very good. The portions were a little on the small side for the price charged, but overall, very good restaurant. Delicious drinks and food! Will return! My husband and I had a wonderful visit to Red Bird. Delicious food and excellent service. Delicious menu, reasonable portions, attentive staff, nice ambiance, and not unreasonable prices. Food and service were excellent. I will definitely return. It was fabulous! Our waiter was great and had some nice recommendations. I had the soft shell crab which was delicious and beautifully prepared. The cheese board was also very good. We will go back for sure! We had a desert cheese plate and a couple of cocktails and it was just the right amount for the both of us on a Friday evening! We went at an off time and as a result our waiter was very attentive. He gave great food recommendations. The food was excellent. Very very nice dinner. Our waiter, Axel was very gracious and attentive. Food was delicious. The service and food were great and the place has a very nice upscale atmosphere. We thoroughly enjoyed our visit to RedBird. We were initially seated at a very wobbly table, but once we brought that to the attention of our waiter, he promptly relocated us. The food and overall experience was enjoyable! What a cute restaurant, with excellent food!! I will definitely recommend this gem to others! The food was very good. The service was pleasant and prompt. I love that Red Bird's drinks and desserts menus change with the seasons. We shared several of the appetizers and two entrees amongst 4 of us. It was a delightful variety and we had great service. The only glitch was the reservation I had made was not on their list. Fortunately, I had my confirmation on my phone. I love Redbird except for one thing. My clothes smell like fish when I have been there. It was really great. A hidden jewel on Moody street. Super cool vibe with yummy drinks and excellent food. It was a wonderful evening. Delicious food, great service. Nice neighborhood restaurant. Very enjoyable meal. We had a good time at Red Bird. Wonderful atmosphere and delicious food! We liked the decor; it was chic and eclectic. The servers were really friendly and prompt, and the food was delicious. The food is amazing! Great wine list! Service was great. Can't say enough good things ... just go there! The atmosphere at Red Bird was wonderful and the food was delicious! The staff were also really friendly. I would definitely recommend Red Bird! A great gem of an add to the culture of Moody Street! Great service and their burger is something special, when everyone is trying to one-up the next "gourmet burger joint" this place makes a keen and killer burger that is as respectable as the rest of their menu, and makes it a worthwhile meal without the fast-food feel of so many other bars and burger places. And the mussels appetizer is a must! Went during a snowstorm and had the place to ourselves, so service was particularly attentive and everyone was happy to have customers in the restaurant. Food is excellent, well prepared and tasty without being overbearing or too heavy. 4 out of 5 because the menu is limited, could use 2-3 more dishes to appeal to more diners. The food was good and the service great. The next time I'll call ahead for reservation. I was delighted to see Red Bird was a Nift option. We go there every few months and enjoy it every time. From the friendly service to the delicious food, everything about Red Bird was perfection. We will definitely be back! Service was slow, but the food was TERRIFIC! I would definitely go back to this hidden-gem! Great food and great service!! The food was fantastic and it was a quiet and cozy atmosphere. Absolutely loved it! Delicious food and drinks, great hospitality! Fabulous meal nice atmosphere friendly staff. Highly recommend! The food and bar selection were both very good. The only reason I downgrade to a 4 is that it was a little pricey. Great bar. Great drinks. Food was slow and didn't get the order right but it was good once we got it. We had a delicious dinner at a restaurant that we have been wanting to try for a while now. We will DEFINITELY be back. 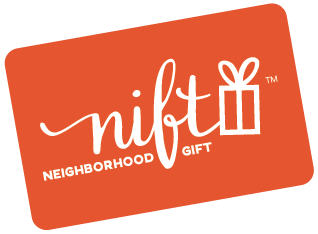 The Nift gift was the perfect way to get us there. Great venue and food, but limited menu. Food was grear. We loved the place. Service quite good. Highly recommendable. My favorite restaurant on Moody St! Loved using nift for local restaurant, Red Bird in Waltham. This place has been around for 2 yrs and I never would have found it if not for nift.